What is the sensation within you, when beholding beauty? is our ability to experience – the beauty of things. and tastes of our experiences, thoughts and memories. All revolving around our perception of beauty. I liked how you described what beautiful for you and you can really draw ! 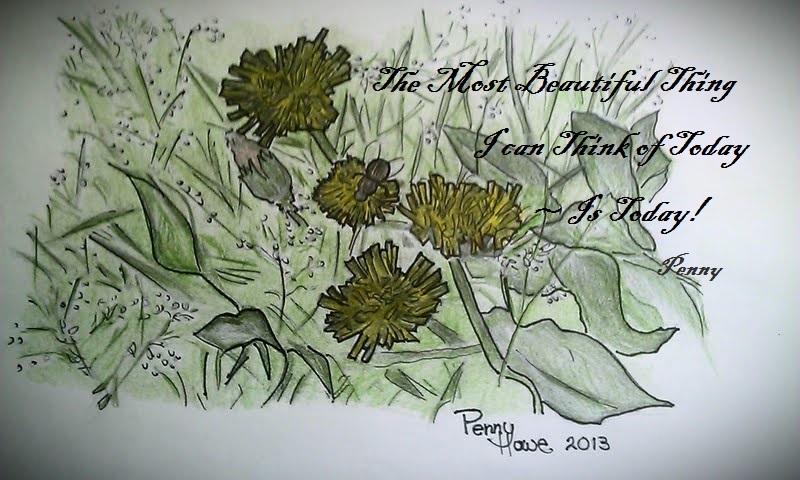 This is beautiful, Penny, thank you so much for really sharing this and giving it to us! Much love! A wonderful wonderful gift, my dear Penny! …so true too! Happy today, my friend – EVERY day!!! Hugs + xxxxxxxx + 🙂 !!! Don’t be critical, my dear… your beauty is apparent in everything you do! I am very happy and honored having you over and nestling up and hope you keep doing so! As for your art… it’s there smiling at you! A wonderful Saturday evening to you, my friend! Reblogged this. What a precious thought. Penny has wonderful words to share. This is so beautiful Penny. Adding it my list of things to print and hang around my apartment. thanks penny we home now was some what theraputic however in between its surely turning out to having lots ups and down ..i see the dr tomorrow so we can review meds lots of question marks around that???? sorry penny misunderstanding it was today all done and dusted ….just posted it now! Oops, sorry Lisa, my error! Okay! The real magic reside in little things, inside us & in today we just need those eyes which can see these magic. As always inspiring and heart warming words ma’am. Thank you Lauren for your lovely words. Hugs and a happy weekend to you too. Excellent, a great lens to look through (your own happy ones)! Yes Penny I agree. For me everyday is a good day. You brought a smile to my face with your positive words. Thank you. Hope your weekend is going well for you! Penny’s precious present pleasantly presented. So nice. Smiling here. You do have a way with words Mike!